Many parents in Dubai came to know about the Blue Whale challenge allegedly pressurizing teens and young teens to commit suicide when schools in the city recently issued an advisory cautioning parents against the challenge. While no case of suicide has been reported in the UAE, it’s important for parents to exercise caution without panicking or spreading rumors. 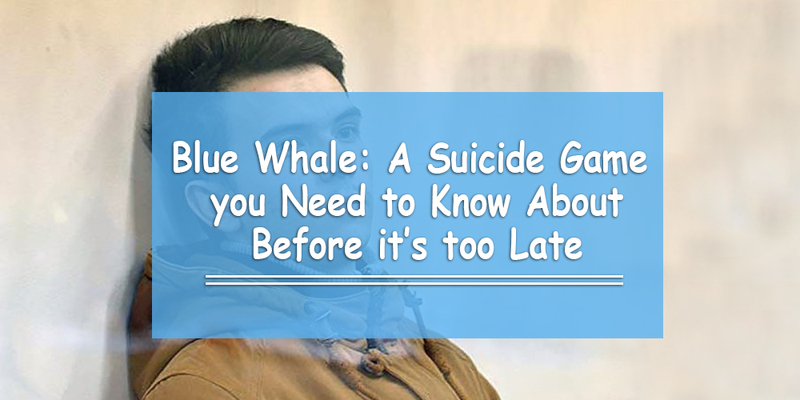 In the last few months, many news sites, and people on social media portals have been talking about teenagers committing suicide by taking part in the Blue Whale challenge. Purportedly being used by an online pressure group, the challenge seems to have gotten its name from whales’ act of self-destruction by bleaching themselves. The challenge seems to start with tasks such as watching a gory video or a horror movie, and the level of ‘hardness’ increases as one keeps completing tasks. 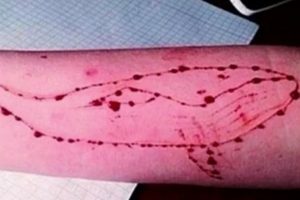 The online group linked to the Blue Whale challenge claims to have thousands of members and subscribers on Facebook and YouTube. News sites in countries such as France, Portugal, Russia, Spain, Ukraine, the US and the UK have associated the suicides of teens and young teens to the challenge so far. Is this a Real Cause for Concern? While we advise parents to stay updated about their children’s online activity to ensure their security, there doesn’t seem to be an immediate cause for panic. While allegations of children committing suicide due to the challenge are still not proven by investigators, we advise you exercise caution, as a parent. There are reports of authorities in Russia, Ukraine, Kazakhstan, Russia, and Kyrgyzstan investigating the cases of suicide. It’s not clear who created the challenge, but two Russian administrators of this game – Ilya Sidorov and Philipp Budeikin (Left and right in the picture below) have been arrested. Anton Breido, whose team arrested Philipp, claims that they have evidence of the challenge abetting suicide. According to Anton, the evidence was given by a boy who took part in the challenge but gave up. The police are looking for suspicious online conversations that the deceased might have had before committing suicide. Schools in Dubai advise we stay on the safer side. One of the advisories issued by a school reads, “Any parents out there or anyone that knows of any kids playing an online game called ‘Blue Whale’, please get your kids off this game. It sets them 50 challenges and the last one is to commit suicide.” This was reported in Khaleej Times. It is not new for teens and young teens to have a secretive social life on the Internet. It is therefore important for parents to stay aware of changes in their behavior to catch early signs of them being negatively impacted, possibly by peers and pressure groups on the Internet. Knowing about online threats early can go a long way in preventing the situation from getting worse. It’s common for children to enter a low phase or withdraw themselves temporarily due to an incident at school or home, therefore it is important to confirm that the change in their behavior is due to their online activity. Once you confirm this, it’s advisable to have an easy-going and candid conversation with children. For such a conversation to be effective, it is very important that you have invested your time and effort in establishing a relationship of mutual trust with your children, far away from the punishment approach. You might be tempted to block your child’s Internet connection, but you shouldn’t do so as it might result in a push back and more secretive behavior. Read this article for more information. In case you detect anything that might pose a threat to your child, you can call government support hotlines for counseling and report anything suspicious.